A cost-effective deflashing process that utilizes tumbling and cold temperatures to remove residual flash from the exterior of parts. This process, unlike our cryogenic blast deflashing process, does not introduce media into the system. Cryogenic Tumble Deflashing generally does not affect the surface finish or geometry of the part. This deflashing method provides a clean, cost-effective, safe and alternative method to traditional hand, vibratory or tumbling methods. Parts are placed in a large tumbling system, cooled and then tumbled against one another to remove external flash from your parts. The mold flash is frozen and removed quickly and cleanly by the passing of other parts. Little to no dust or residue remains. Only offensive flash is removed. Edges are maintained without rounding or other material removal. Cryogenic Tumble Deflahing works on ABS, Acetyl, Delrin, LCP, Neoprene, Nylon, PEEK, Polycarbonate, Polypropylene, PTFE, Silicone, Rubber, Teflon and Urethane. Cryogenic Tumble Deflashing is far more cost-effective than hand deflashing by a significant margin – and it yields superior quality. Our tumbling process produces consistent part-to-part results, unlike variations produced by individual operators attempting to hand deflash. The cost to deflash parts can range from less than .01 cent to several dollars per piece. A general rule of thumb: the cost is between 10% and 20% of the value of the part, although each part must be considered on its individual characteristics. The standard turnaround time for delivery of Cryogenic Tumble Deflashing is two days after receipt. NitroFreeze offers same day and one-day service for a small premium. 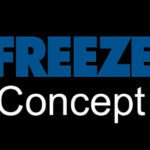 Nitrofreeze is pleased to provide a no-cost and no obligation assessment of your machine deflash problem. We can review part drawings, photos and actual samples of machined parts. If the parts are deemed a good candidate for the process, samples can be processed for a nominal fee. We can also evaluate parts on a not-to-exceed cost basis if you have a target cost in mind.